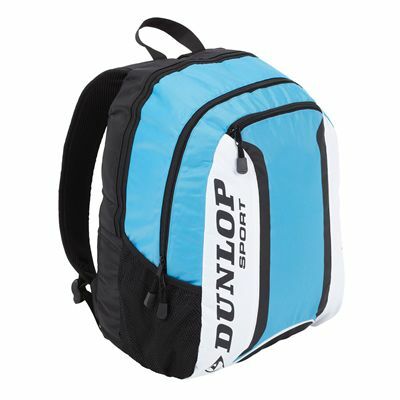 The Dunlop club backpack is a trendy backpack that is perfect for everyday or club use and ideally suited to meet the needs of young players. It is made from 420D polyester and features ergonomic shoulder straps for comfortable transportation. The backpack has a large main compartment which is ideal to store clothes, laptops and other valuables, whereas the separate back pocket with lockable zips is perfect for carrying the racket. The backpack is also equipped with a separate front compartment and a side mesh pocket for all the necessities. for submitting product review about Dunlop Club Backpack 2013.